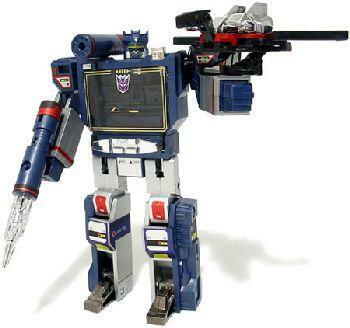 Soundwave had been one of the more popular Transformers out of the 1984 line and continue to be..
For the first two years most the toys had been designed from the Diaclone and Microman Japanese robot toy lines. The characters became well loved in both the cartoons and the comic books! Look for more goodies in the 1990's! TYCO RACE & TRAIN SETS!